FROM EJIDO SAN SEBASTIAN BACHAJÓN, ADHERENTS TO THE SIXTH DECLARATION OF THE LACANDON JUNGLE, CHIAPAS, MEXICO. 17 APRIL 2016. Today we denounce the three levels of government, demanding that they release to us the political prisoners of San Sebastián Bachajón, Emilio Jiménez Gómez and Santiago Moreno Pérez, imprisoned in CERSS 17 at Playas de Catazajá. Emilio is falsely accused of assault on an Italian tourist in the community of Xanil and Santiago is unjustly accused of aggravated homicide, following acts which took place in the community of La Pimienta, Chilon municipality where members of the PRI attacked him for being part of the supervisory board of the Sixth Declaration of the Ejido San Sebastián Bachajón. They took out his arrest warrant, and confiscated his plot of land and house site, and displaced his family so they have no place to live. Compa Santiago is becoming more unwell because there is no medicine in prison and he is of an advanced age. Compañero Esteban Gómez Jiménez continues to be a prisoner in Cintalapa De Figueroa, Chiapas (Amate #14), where he has been freed from the unjust charge of qualified homicide but he is still accused of assault on a truck of French tourists. We demand his freedom and that of the others who are imprisoned unjustly because the living conditions inside the penal centre are getting increasingly worse, violating their basic rights and they are living in permanent risk; they are denied access to health services and food, most prisoners are fed by their relatives. The personal integrity of the prisoners is no longer guaranteed, on several occasions they have denounced violations of their rights, but the government bodies do nothing about it. Apart from being treated inhumanely, they are not being given access to justice as they should be, because the authorities are becoming more corrupt all the time, from the top to the bottom of the system. Today, human rights are no longer respected. They government are given more respect than the people in society. For this reason, we make a call for the immediate freedom of all of these compañeros political prisoners because they are innocent. Having a commitment to your people does not mean committing a crime; they are imprisoned for their struggles and treated inhumanely, they demand their rights but the government turns a deaf ear. Most of the people are unjustly imprisoned, their crimes are speaking out and defending their lands because their people are experiencing repression and harassment from the bad government, so we ask for the immediate liberation of these compañeros prisoners and also for the liberation of other political prisoners in Mexico and the world. 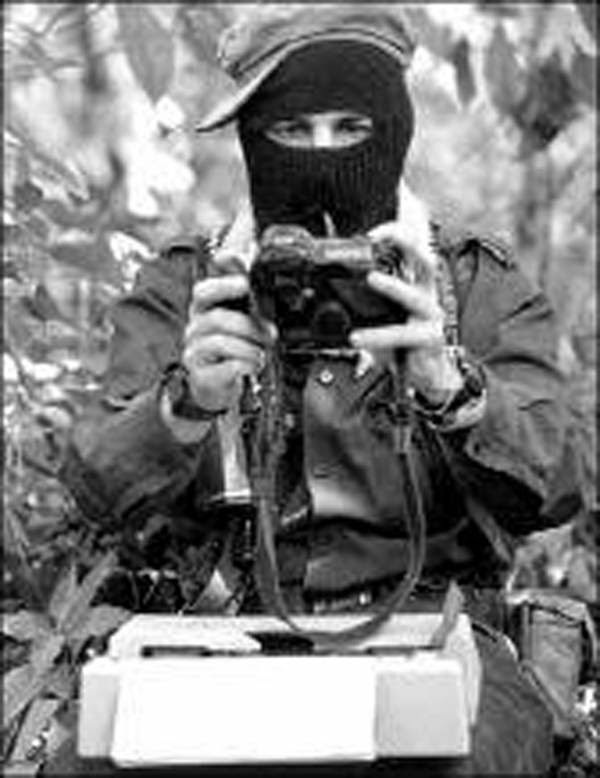 From the northern zone of the state of Chiapas the women and men of San Sebastian send militant greetings to all the compañeros, communities and peoples of Mexico and the world who are resisting.